How does airflow affect an operating room design? At the latest NVMM symposium our colleague Mike van der Heijden showed numerous CFD (Computational Fluid Dynamics) simulations of operating rooms. These simulations proved that there is a significant difference in airflow and particle dispersion between ‘at rest’ vs ‘in operation’. But the airflow pattern and particle dispersion is influenced significantly by people, lights and e.g. instrument tables. 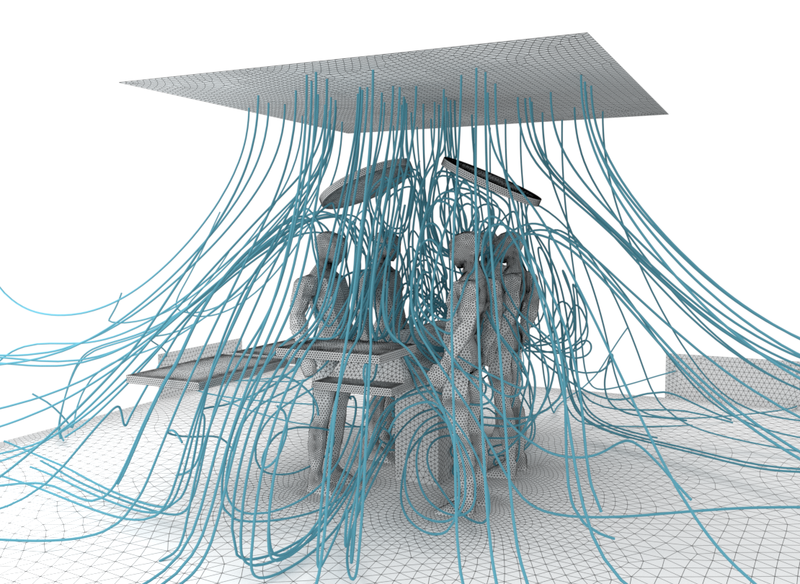 Computational fluid dynamics (CFD) breaches the gap between the design phase of an operating room, calibration, testing when built and between the actual situation in use. or check the presentation below.